Gucci has definitely earned its reputation as one of the most popular luxury fashion brands in the world. The brand combines aesthetics and craftmanship to deliver timeless fashion products that are not only gorgeous and trendy but also strong and durable. 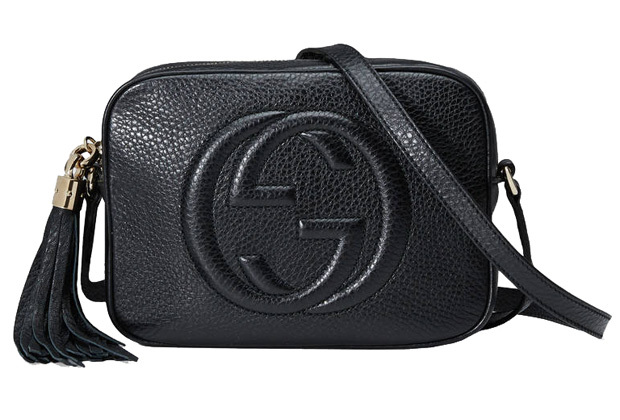 Among the brand’s most popular products is the Gucci Disco bag. Released to the market in 2012, Gucci Disco became an immediate success, selling several units around the world. Due to the bag’s massive popularity, forgers have developed many imitations to sell to unsuspecting buyers. Spotting a fake Gucci Disco Bag from a genuine one may be challenging due to the numerous similarities. With this guide however, you will be able to tell a fake in just a few minutes. Examining the logo of the Disco Bag in question is one of the best ways of telling a fake from an authentic bag. The logo of a genuine bag is flawlessly symmetrical. The threads are neatly done to alleviate any chances of protrusion appearing along the logo. The embroidered logos are slightly convex. With a fake Gucci Disco however, there are many inconsistencies you are bound to notice. For starters, the interlocking logo is most likely to be asymmetrical. The strokes are also likely to be pointed, unlike the genuine logo which is slightly curved. The next feature to look at is the belt buckle. For a genuine Gucci Disco Bag, the buckle is typically curved. A fake on the other hand has a square buckle with a Gucci inscription on it. You should also look at the quality of the material used on the buckle. Gucci makes a point of using only the best quality material on its products. A poor-quality buckle is therefore an indication of a fake. Another feature of the Gucci Disco that can give away a fake is the tassel. For an original Gucci Disco, the tassel is exclusively made of leather. Both sides of the bars are thus the same material, of the same color. An imitation of the bag however has a tassel that is only leather on one side. One side is therefore darker in color while the other side is lighter. You should also be keen on the metal that holds the tassel together. Genuine bags have well-concealed screws. It should also have 6 notches. A fake will be inconsistent in many areas. The screws may be exposed or have fewer notches. The tassel is connected to the zip by a perfect ring. This is a detail that most forgers find hard to imitate. A bag that has a connector with a gap is therefore most definitely a fake. Other features that you should consider checking include the interior lining of the bag, leather strap and the leather inside the bag.